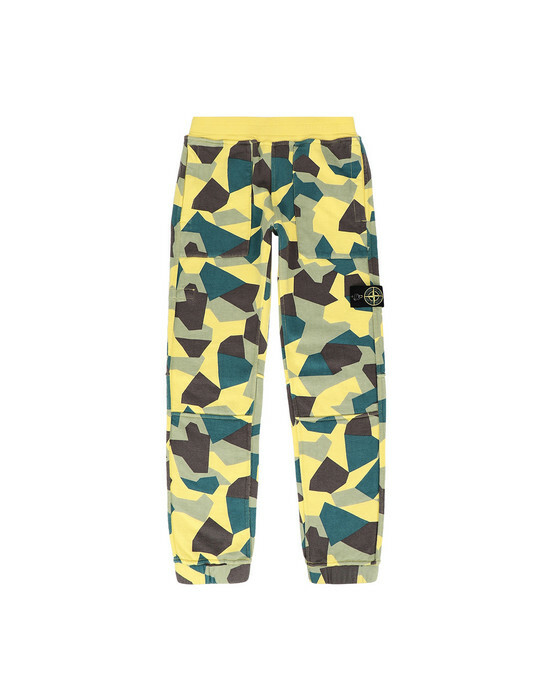 Reversible jogging pants in camouflage-printed cotton fleece. Finished garment is over-dyed. Welt pockets. 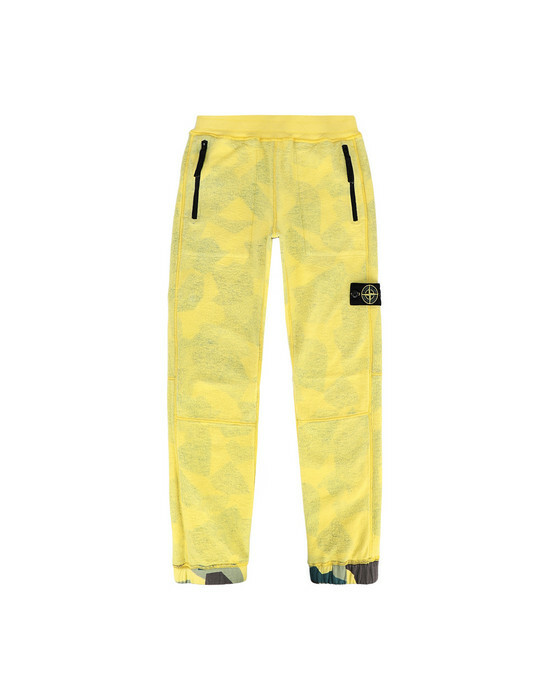 Elasticized bottom hems. Elasticized band at waist. On the other side: welt pockets with zippers.